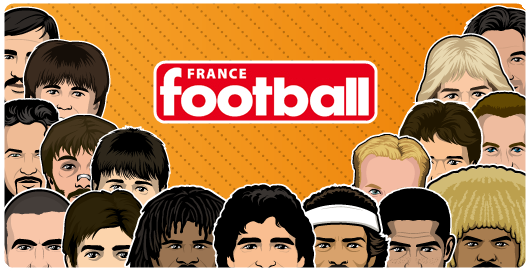 Old School Panini: The Greatest goal never scored ? Hans-Gunter Bruns was a typical German footballer. Powerfully built, technically good, strong in the tackle, and tactically excellent. Exactly what you would expect from a guy who is hailed as one of Mönchegladbach's players of all time. 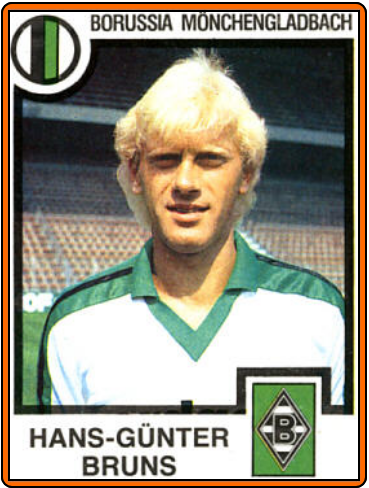 The hulking blonde midfielder began his career in 1973 with Schalke 04 and move to Mönchegladbach in 1978. He played 11 seasons with the Borussia and earned four caps for the West Germany national football team in 1984, and was included in the West German team for the 1984 UEFA European Football Championship, but did not play. The moment Bruns will forever be remembered for happened in 1983. Bruns was enjoying the game against Bayern immensely and was dominating from the back. He had just hit the crossbar with a thunderbolt of a shot when the now legendary moment happened. Both teams were challenging for European places and were feeling each other out when Bruns won the ball on the edge of his area and sprinted into the right full position where he then turned and with pace, power, superb skill, and a bit of luck he beat three Munich players before reaching the half-way line.He powered into the Munich half, frightened defenders backing off at every moment until he neared the goal for a shot. He dummied and played a brilliant one-two that put him free in the box where his placed shot easily beat the keeper only to come off the inside of the near post, roll agonizingly across the goalline, and clip the other post...and back into the relieved goalkeepers arms. The greatest goal never scored ?